Why choose attorney Brendon R. Rogers? When you are looking for an attorney, you need to consider the following questions and make certain that you ask the attorney for their responses BEFORE you hire them: 1. How long have you practiced in this area of law? 2. What kind of experience do you have? 3. Why do you think that you’re qualified to help me? 4. What can you guarantee me about an outcome? 5. What are your fees? 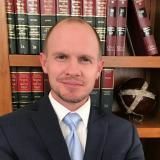 Attorney Brendon R. Rogers is the only attorney in the White Mountain Region of Arizona who has built his entire practice in the following areas: Probate, Trusts, Wills, Power of Attorney, Estate Planning, Elder Care, Guardian and Conservatorships, and Bankruptcy. 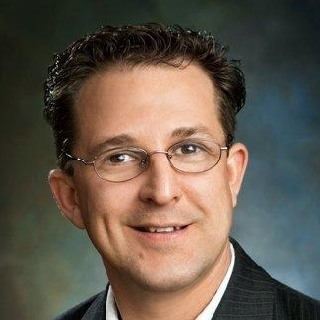 Why choose Attorney Brendon R. Rogers? Give him a call today and ask him the above questions and find out for yourself. Also, VISIT HIS WEBSITE FOR FREE AND DETAILED INFORMATION ON ALL OF THESE AREAS OF LAW AND MORE. Free 30 minute Consultations for all of the listed areas of law. Attorney Rogers has served hundreds of clients in the custom creation of Last Wills, Trusts, and Power of Attorney’s because a client’s affairs are unique to them and using “cookie-cutter” documents will not do. He has also handled close to 100 probate cases in Navajo and Apache counties and is intimately familiar with the workings of Probate Court and the Arizona Probate Code. He has handled numerous Guardian and Conservatorships; many for vulnerable adults and handicapped children. VISIT HIS WEBSITE FOR FREE AND DETAILED INFORMATION ON ALL OF THESE AREAS OF LAW AND MORE. Activities: The mission of Northern Arizona Academy is to provide a supportive learning community that encourages unlimited potential by providing students with multiple opportunities for success in a unique, small school setting which will help them meet the challenges of the 21st Century. Activities: The BNG is an organization which thrives on working with business professionals located in our White Mountain Community and generating referrals and leads for each others businesses. We're a High Caliber Group recruiting High Caliber Professionals.